Jaydeep Steel is a most eminent Inconel Pipes & Tubes Suppliers and stocker. We supply products to both Indian and international markets. Inconel is a member of the superalloy family of austenitic nickel-chromium alloy. When Inconel alloy is exposed to extreme heating conditions, it forms a thick and stable passivating oxide layer that protects the surface from any further attacks. 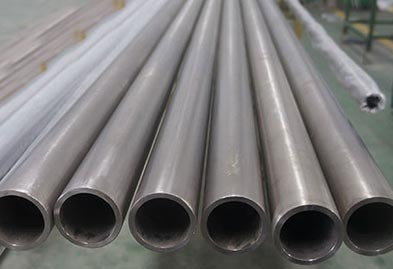 Inconel alloy pipes are highly resistant to heat and corrosion, and hence are suitable for high-temperature activities. Inconel Tubing is used in aerospace, power generation, combustors, turbocharger rotors, etc. They are available in various grades like 600, 601, 625, 718. Inconel Seamless Pipes & Tubes offer premium grade resistance to wide varieties of aqueous corrosion. They also have the high mechanical strength and can be readily formed, machined and welded. As a result of which they are broadly used in fields like thermal processing, chemical processing, pollution control, aerospace, and power generation. Inconel Welded Pipes & Tubes are usually manufactured by high-grade Inconel material while performing the welding procedure. Inconel Cold Drawn Pipes & Tubes are created by drawing the material at room temperature (i.e. Cold-Drawn). The end of the bar/coil which is smaller than die opening is passed through the die and is then pulled or drawn through the die, thus reducing the cross-section of the original bar or coil. Inconel Electropolished Pipes & Tubes are available in two ways, according to the use and need – only the outer body is electropolished, and both outer and inner body is electropolished. These are available in shapes like Round, Square, Rectangular, Hexagonal, Hollow, Oval etc. Contact us today or take a look at complete product specification that we offer at best possible price. Jaydeep Steels stocks a wide range of materials and grades. 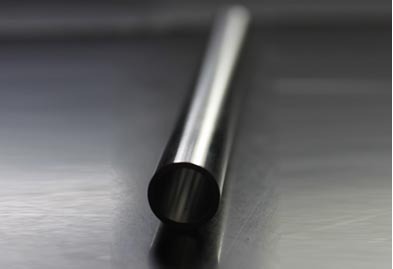 Below are a list of all standard inconel pipes and tubes materials and grades we stock. Our experienced team of metal experts will get you the metal you need when you need it. Call us today for your Inconel Pipe & Tube Needs!